January 2018 – Christopher Kiplok has been named an “Outstanding Restructuring Lawyer” by Turnarounds & Workouts for 2017. The publication's annual list honors the 15 most prominent restructuring lawyers in the United States, which appears as a special report in its December issue. Trustee for the liquidation of Lehman Brothers Inc. He is the second Hughes Hubbard attorney to be recognized by Turnarounds & Workouts. 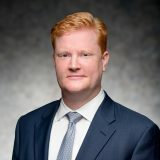 In 2014, Dustin Smith was named an “Outstanding Young Restructuring Lawyer” for his work on the Lehman and MF Global bankruptcies. Turnarounds & Workouts is a monthly newsletter published by Beard Group Inc. for professionals tracking distressed businesses in the U.S. and Canada.